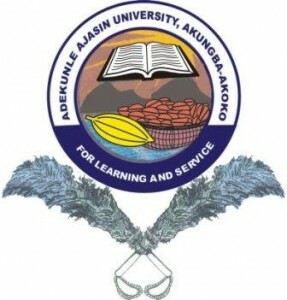 AAUA Notice to Fresh Students on Registration | Adekunle Ajasin University, Akungba-Akoko, AAUA notice to all the students admitted during the 2017/2018 academic session on registration and signing or matriculation register. This is to inform all fresh students of Adekunle Ajasin University, Akungba-Akoko (AAUA) at 100 and 200 Levels to please ensure compliance and complete their registration formalities on or before the deadline of 9th October, 2018. In addition, such fresh students are requested to visit the Examinations and Records Unit of the Academic Affairs Division and sign the Matriculation Register accordingly, copies of which are expected to be submitted to the National Universities Commission (NUC), Joint Admissions and Matriculation Board (JAMB) and National Youth Service Corps (NYSC) all in Abuja on or before 15th October, 2018. Any fresh student who fails to complete the registration formalities and sign the matriculation register within the stipulated deadline would be deemed to have forfeited his or her admission. The implication of this is that such students may not have the opportunity of applying for leave of absence since they failed to meet the deadline. Please be properly guided and ensure compliance with the above directives. With all the best wishes.